This topic is listed in Contests - Completed. It has been viewed 3,206 times and 234 replies have been made. Blue & Gold Members Welcome. Please STATE the following, along with your request to join. 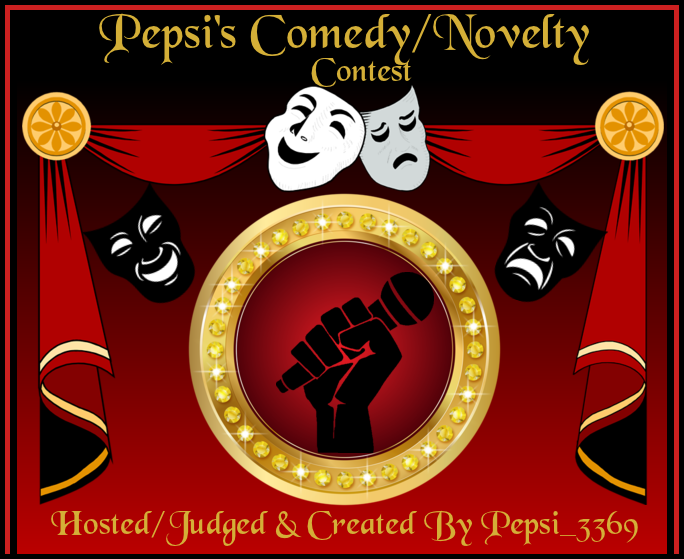 If you failed to complete listens in the previous Pepsi Contest then you will be asked to sit this contest out. Now how about starting off this year with a good old laugh. Well if you need a good laugh then you have come to the right place. There are loads of great funny songs out there waiting to be sung. So let's get this Comedy Show on the road!! Please only join this contest if your OVER 18 & NOT easily offended. 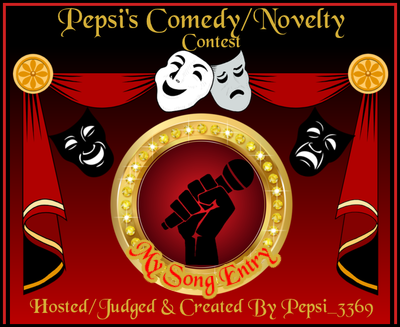 For this contest please pick a song from the Comedy/Novelty list here in SingSnap Library. Just click on the link below and it will take you to those artists. There are some artists that have not been added to the right Genre like Charlie Landsborough is on the list when you click on the link below and he is clearly a country singer. So please make sure you do pick a funny kind of song to sing. Click here for songs listed. Click here for the Artists. All songs must be "Fresh" from the timestamp of this contest being posted, unless you have a recording that was held in PRIVATE with 0 Views and 0 Comments from any date, that fits this theme. If you feel your song could offend members then please select the Offensive box in your song settings. This will give a warning message to the members who have their family filter set to ON. Please only join this contest if your NOT easily offended. Please, only sing in English. No Demos, (No duet with a DEMO recording). If you choose an Uploaded Song from the Community Songbook please make sure it's a good quality upload. If I can hear the original singer that has been faded out of the song in the background then points will be deducted. 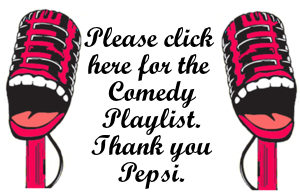 Award banners will be awarded for those who follow rule #2. Additional placements may be added at Hostess discretion. Placements are final and not up for discussion. Please place the small banner above on your song entry. I only move forward in the thread and I could miss your song link. Once your song link has been placed on the list there is no changing it. PLEASE FLAG THE CONTEST AS ONCE FULL IT WILL BE MOVED TO CONTEST IN PROGRESS. Thank you all for joining me here. making friends & most of all having fun!! Will be heading off now for an hour for some dinner and will update as soon as I get back. 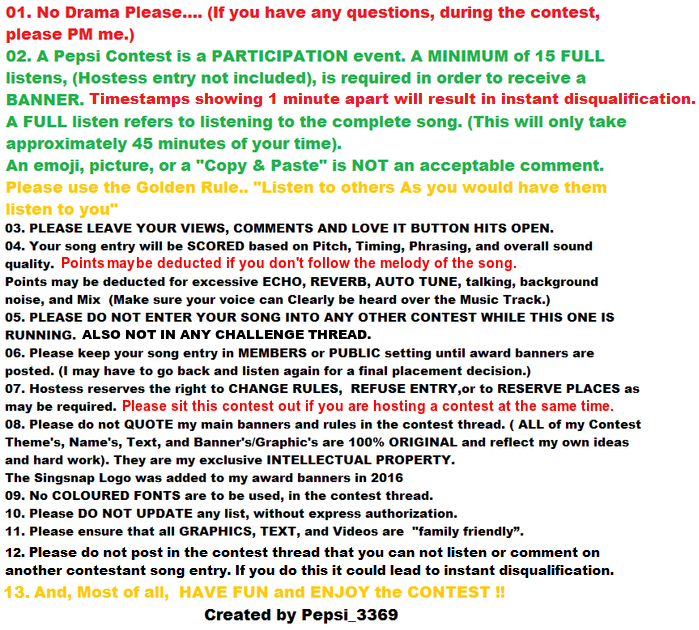 Please if you are new to a pepsi contest please state how to join which is at the top of the page. Diane just had dental implant surgery so she will sit this one out as she recoups. so good to see you both. Just about to log out and go for dinner, will get you both added as soon as I get back. Please send Diane my wishes and hope she has a fast recovery from the implant. Thank you so much Carsten for your song entry. Good morning to you Mike good to see you my friend and thank you so much for joining us all here. Good morning to you Don, good to see you too my friend and thank you so much for joining us and with your song entry too. I would like to claim "Show Them To Me" by Rodney Carrington please. Good afternoon to you Rich, good to see you my friend and thank you so much for joining us all here. Thank you so much Val for your comedy song entry. hahahahah oh y I just went over to youtube and heard Red Peters - The Spelling Song EXPLICIT! laughing so much here. I would like to claim.... "King Tut" please.. Thanks.. I'm going t be heading off now to get some sleep and will be tomorrow morning to update the list. Thank you so much to all who have joined so far. Can't wait to hear you all. Wishing you all a super relaxing evening. Hi ya Joyce, just caught me before I head off to bed. Thank you so much for joining us all here for this comedy contest. Good day everyone I can't wait to hear some of these fun songs. Wife is struggling today so I'll get to my listens as soon as I can, hope everyone is enjoying this Thursday. Oh what a perfect way to start the year. Let me take a look at the menu and see what I find. Back later or tomorrow. Will definatly take the time to surch this one out. Can't wait to hear it. Old time favorite. here is my entry Karen! Hey guys!! Any chance I could be added to the contest? I will let you know what I will be singing. Thank you!!! I would like to claim "Earache My Eye" by Cheech and Chong please. I'll get my song in and listen, in a bit. I had a bad headache.... went to lie down and fell asleep.. Sorry..